South Westridge 70-5 Bedroom home, 3 bath, Snowshoe Mtn. Resort, newly renovated NEW HOT TUB , great location! This condo is beautifully furnished and comfortably sleeps 11 people. The homeowner has added unlimited long distance phone service, Internet service for those who like to work while at play and a media room with HDTV with surround sound. Relax in your own private hot tub located on the deck, or walk to Silver Creek home of night skiing and the tubing hill. 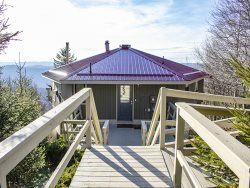 Please treat yourself by booking this townhome for your stay in the Mountains today. Homeowner added a Wii!! !